Orajel Kids for Happy Smilestones Plus Win the Ultimate Birthday Party! This is a sponsored post written by me on behalf of Orajel™ Kids. All opinions are 100% mine. We’ve used Orajel™ Kids products for quite some time, but I didn’t know that Orajel Kids has us covered for every stage of oral development. From teething, to learning to brush, to starting to brush on their own, there is a an Orajel product for each of my boys. If you’re anything like me, you’re ready with the camera to capture the perfect little smiles of your children whenever possible. 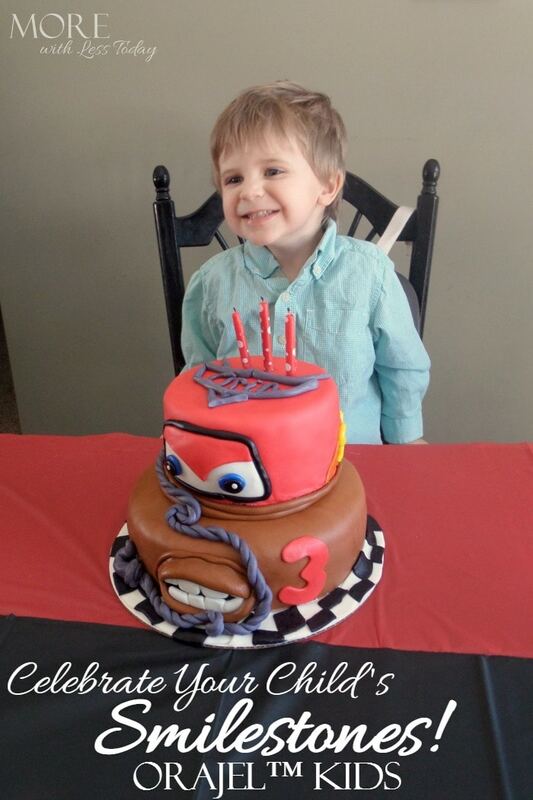 Some of those smiles are a big deal, smiling milestones really. That first toothy grin, birthdays, or the smile when they’ve lost their first tooth and are anticipating a visit from the tooth fairy are “Smilestones”. They are moments you’ll treasure forever. Orajel Kids wants to see those Smilestones! Orajel Kids also wants to celebrate your child’s Smilestones. 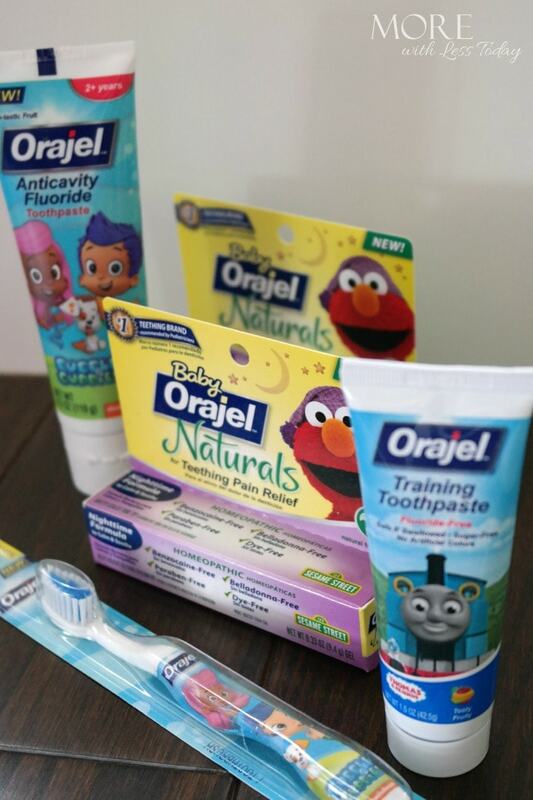 Not only does Orajel have a variety of products for your child and all the phases they’ll go through in oral development, they are offering one lucky winner an Orajel Kids product gift pack and the chance to win a $2,000 gift card to use for the ultimate birthday party as they celebrate their next big Smilestone! With a 16 month old, a 2 1/2 year old, and a 3 1/2 year old in our house we have a variety of oral care needs. Our littlest is still teething and is starting to brush, and the middle and the 3 1/2 year old are learning to brush on their own. Baby Orajel™ Naturals Teething Gel and Baby Orajel Naturals Nighttime Teething Gel are great for teething and offer safe and effective pain relief with the soothing power of chamomilla. Baby Orajel Naturals Nighttime Teething gel with passionflower calms restlessness to help your child sleep more comfortably which just might mean a better night’s sleep for everyone! As your little one is learning to brush, there is Fluoride-Free Training Toothpaste from Orajel, designed for ages 3 months to 2 years. It comes in My Little Pony™ and Thomas & Friends™ and is gentle and nonabrasive. My little ones love seeing some of their favorite characters on their toothpaste. I love that since it is fluoride-free, I don’t have to worry that they might, (I mean will) swallow some of the toothpaste. As your child gets a little older and his or her skills develop, they’ll be excited to be brushing on their own. With Orajel Kids, there is a perfect toothpaste for this stage too. 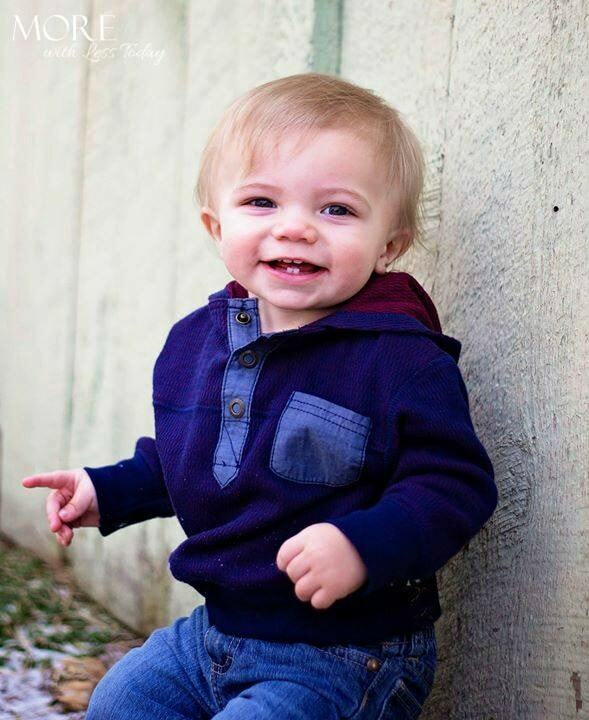 For ages 2 and up, there is Orajel Bubble Guppies™ Fluoride Toothpaste. This offers kids a fun way to transition into fluoride toothpaste with their favorite friends the Bubble Guppies. Enter to win the Ultimate Birthday Party! 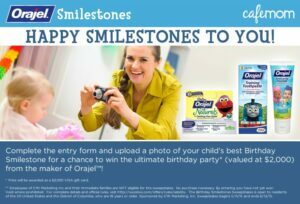 Through a Smilestones Birthday Sweepstakes, Orajel is offering one lucky winner an Orajel gift pack and the chance to win a $2,000 gift card to use for their ultimate birthday party as they celebrate their next big Smilestone. Wow, imagine the party you could have! Good luck and be sure to enter here. Get a coupon for Orajel Kids at this link. I made sure to never be without Orajel when my kids were little. Their teething gel really worked wonders! What an adorable smile! It’s important to focus on oral care at an early age- you want to be able to see that lovely smile just the way it is for years to come! I love Orajel! Also, that is such a neat birthday cake. We used those tooth brushes on our little ones when they were toddlers. They were perfect. We would not have survived without orajel. I definitely used Orajel a lot with my kids. It made everything much easier! What a super cutie. 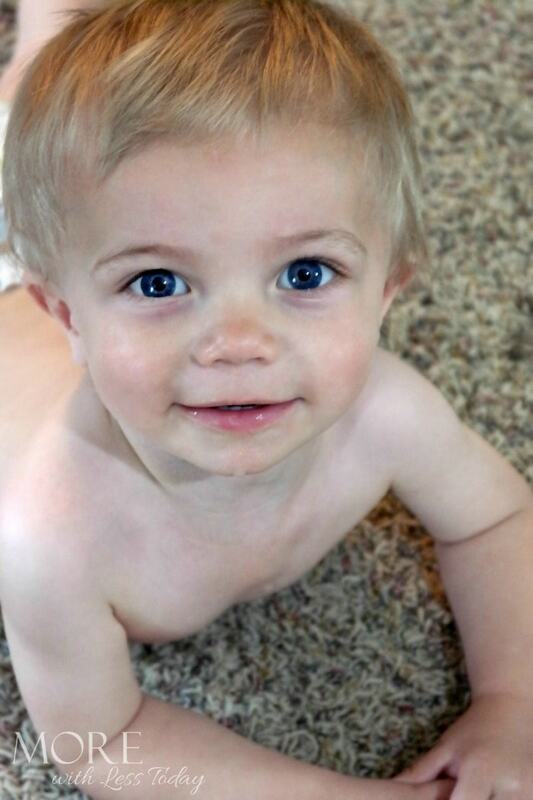 When my kids were little I relied on Orajel quite a bit when they were teething or experiencing gum pain. Now I’m a grandma and am reliving those days. That is an amazing cake! Orajel was so helpful when my kids were little. I am happy to see they have expanded their line. We are faithful orajel users over here. We’ve used them all. Orajel is a great product. It worked wonders for my kids. I would love to win the ultimate birthday party. My kids love Orajel products! My son will only use the Thomas the Train toothpaste! Smile stones. I love the tag line. Orajel was always great to use with my kids. We have been using Orajel for over 10 years in our home. My little ones love the toothpaste and I like it because it is fluoride free! I am so happy to be out of this phase with my little one. But, I have to agree, Orajel is a great product that I too used. We have used Orajel for all of our kids. I love they have expanded their line to include toothpaste, etc.